Ecuadorian Hands has sponsored many tagua beads giveaways here. If you are new to these natural beads, then let me say these beads made from the nuts of Central American palm trees are beautiful! 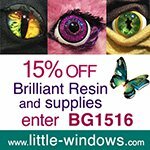 They are cut into shape, dyed and polished to a beautiful shine. I received the above batch of tagua beads for review. There were all sorts of shapes and colors. They certainly had the look of gemstones but are much lighter. They feel warm to the touch too and are wonderful to wear next to the skin. Tagua nut beads are also known as plant ivory beads because they share the same natural hue as elephant ivory and are great for carving too. They are a viable alternative to elephant ivory. See more about tagua beads here. Did you know that elephants are still being killed for their tusks even though there is a world wide ban? Many designers who work with tagua beads like to use other natural components like leather and perhaps wooden beads. So I decided to try something different and designed a tagua necklace using only metal wire and beads. Yes, this was a personal challenge piece! The largest ones I received had very generously sized holes for leather cords to pass through. In my case, the holes accommodated two 20G wires! I used brass beads and jeweler's bronze wire for this design. You can easily see the lovely natural striations in the bead. 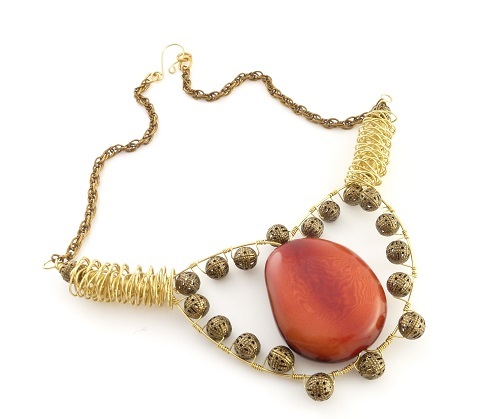 The open design led to a large statement necklace which wasn't heavy at all with the tagua bead framed as the focal. If you'd like to win the $40 worth of tagua beads to create your own awesome designs, please make a comment below. Make sure you leave contact info if you do not have an online shop or blog. It ends in a week's time at 6 pm EST Monday, April 1 , 2013. I will pick the winner randomly and announce the results as soon as possible after. So be sure to leave a contact email if you don't have an online link or make sure you come back and check! Otherwise I will redraw in a week. Good luck! Pearl, I was going to comment on this one anyway! Your design is very beautiful and has inspired me! These are lovely! I like the idea of them being so light. I find large focals are often so heavy they're hard to wear for very long. Thanks for the opportunity to win these amazing beads! I am a long time subscriber to your blog. Hope I can win some wonderful heads! Thank you for offering these interesting beads, pearl! Love the necklace! Would love to win the giveaway. And I happily subscribe to your Feed. Stunning beads and they are new to me. Lots of possibilities for these! I already follow your blog. I tweeted and shared on facebook about this giveaway. I would love to have these beads! I am having a thought to combine these tagua beads with my natural stones jewelry. 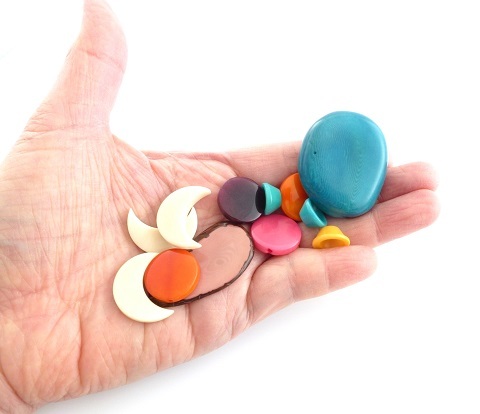 I have always been interested in these tagua nuts for beads, but so far have not tried them...so many possibilities with these! I have always loved the look of the tagua beads but never have had the opportunity to try them. Thanks for the chance to win. 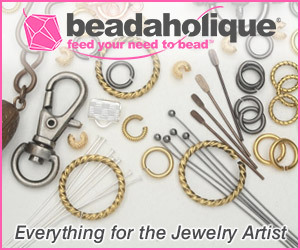 I am already a subscriber to the beading gems newsletter. GORGEOUS THINGIE that you just made!)) so I have been able to stretch my skills to become a much better beader! Thank you. 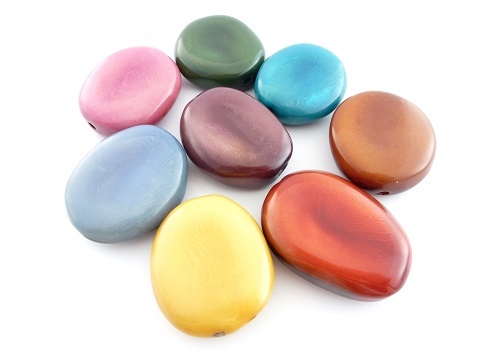 I saw some beautiful tagua designs over the weekend and would love to try these out! Oh how exciting! Thank you for the opportunity! I really like your statement necklace! I would love to try them out! I have been eyeing tagua nut beads for purchase for several months since I first saw them. Love their versatility. Been waiting for some extra money to order some. Think they look great! Have been admiring the tagua nut beads since I first saw them. Love their versatility and light weight. Have been waiting for the extra income to buy some. Can't wait to find some to try. I would love to win these beads...I've been wanting to try them! Great giveaway! Love the colors and shapes! Oooooh! Those are so cool! I would love to experiment with these. These are so beautiful. I love how lightweight they are. Would love to win! erin dot h dot norris at gmail dot com. I love the necklace you designed! I would also love a chance to work with these wonderful beads. I love them! I love natural jewelry. mishqueen at hotmail (you know the end). I love color! These are great! I love the organic look and feel of Tigua beads. Wish I had purchased some when I was in Columbia. Nice use of Tagua bead as a focal. Tagua is so versatile! They dye so beautifully and if you carve them you get the white flesh of the nut coming through for a great look! Thanks for the opportunity! I've seen these beads before already made into jewelry at a store but never singly. I love to be able to add a large bead with color that is lightweight. Your statement piece is gorgeous! I've been wanting to see these in person for a long time. Thanks for the opportunity! I absolutely love your design. It is just my style. I would love to win some Tagua beads. Thank you for the giveaway offer! I've heard of these before but haven't seen one used. Huge focal that's light....I could find many uses for something like that. Thanks for bringing these to my attention. I have always wanted to try these kinds of beads in my pieces but never had a chance to. These beads are really interesting, thank you for this giveaway. Beautiful beads! Thanks for offering this giveaway. Those tagua beads are beautiful, and your necklace design is very unique. Love the colors/love the lightness of these wonderful beads! What I could do with them! Oh these are beautiful and I love a bead with a story behind! I find these beads so interesting and love the look of them. Thank you for hosting another great giveaway. I've never heard of these beads before. Thanks for the education and for the giveaway! They are lovely beads. Thank you Pearl for such great work. 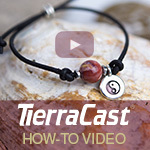 The way you share eco ivory tagua beads with your readers is just great! I love Tagua beads and have used them before in my designs! Thanks for the chance!! What fun I could have with these beads?! 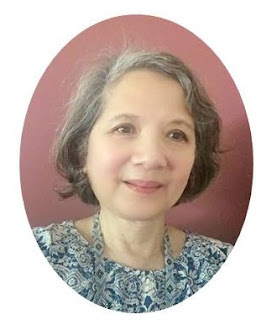 Pearl, I love the necklace you created with the tagua focal. Beautiful wire work & creative design. I'd love to come up with designs using these great beads! Wow! What a beautifully irresistible necklace.Would love to try using these beads. Keep up the good work. I use tagua beads to make many projects as bracelets, rings and so on, the more you use them more bright they are. I love tagua seeds, they have so many uses! 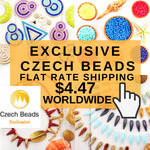 These beads look amazing and I would love have the chance to use them in my jewellery. I am an email subscriber, have shared on Facebook and posted an alert on my website. Thank you so much for an opportunity to win these! Your necklace is a cracker, love the style. Thanks for the chance to win the beads. Love these beads, such vibrant colors!! Sustainable, too! What a wonderful design Pearl! I've not had the chance to use this bead yet, so I'd love to win. Thanks so much for the giveaway! Those tagua nut beads are awesome! I've not used any in my designs before but now I can't wait to try them out. Thanks for the chance to win such a fab giveaway! I'd never heard of Tagua beads. They are lovely. Of course I would love to win. Thank you for so much interesting information. I would LOVE to get my hands on a few of these beads. Heck, I would LOVE to just be able to see and touch one of these beads. They look AWESOME. I've read about these beads before in one of your posts. Alas, since I am a part time employee with a rather LARGE retailer, I can't afford to buy any new beads. I follow you on facebook, and subscribe to your blog. I love the larger, full size tagua beads. And the colors are very nice as well. So pretty. It would be great to get some to work with!! Very dramatic! I checked out the home page for the beads and it was so interesting. I love the Tagua beads . Have seen the when browsing the net but didnt know what they were made of . So thanks for sharing the lovely design. Wish I would win them and have a try at creating something out of them too ! Beautiful colors. 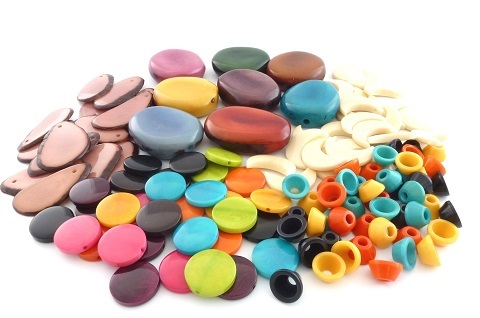 Would like to try tagua beads. I'd LOVE to try to work with thies beads they look so gourgous and colorfull . I fallow your blog & i love it !! I would love a chance to win these beads. Thanks for this opportunity!! The colors of these beads are beautiful! I would love to experiment with them. 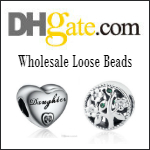 Love this type of bead -- a RENEWABLE SOURCE -- glad to see you featuring them. I'm new to making Jewelry. I have never seen Tagua Beads. They are beautiful. Thank you for adding me to your site. I am a new beginner in making bead jewelry. I found your site to so very interesting and beautiful. I hope one day to make a necklace like this with these Tagua beads. Veta........email bovese@toast.net. Love these beads! oh fingers crossed I win! Really wonderful these beads. I would really like to use them! Those beads are amazing! !I read all about them in the Ecuadorian Hands' site.Using seeds to make so beautifull beads is very creative! Just looking at them gives me a warm feeling. The colours are wonderful and I can imagine the warmth of the beads in a necklace as it lays around my neck and as I clasp it in my hand. pretty pretty pretty pretty !! If anyone in the UK would like to buy some of the handmade tagua bead necklaces and earrings I'm selling currently have a look on ebay (UK)! My cousin was the first in the family to use tagua nut vegetable ivory beads in her work. I've been wanting to get my hands on some ever since! If this comment affords me the opportunity to do so, I will be hoppin' ready to give my design wings free reign to use them! Thank you! What fun beads. I can think of tons of fun projects to make with these. Love 'em! Going to subscribe to your feed too -- so glad I found you! Superb beads i did not now about them I would love to win some. What beautiful beads! I would so love to win! Pretty please count me in! Thanks! 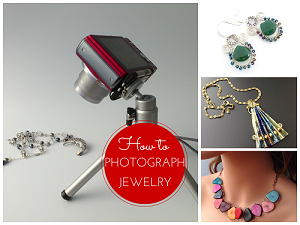 Oh, awesome giveaway, I have been eyeing the Tagua beads for some time now! love the tagua! i have a collection of tagua animal carvings!